Education system is being assessed altogether through different measurement process, but lack of proper documentation leaves the assessors with a knowledge deficit. 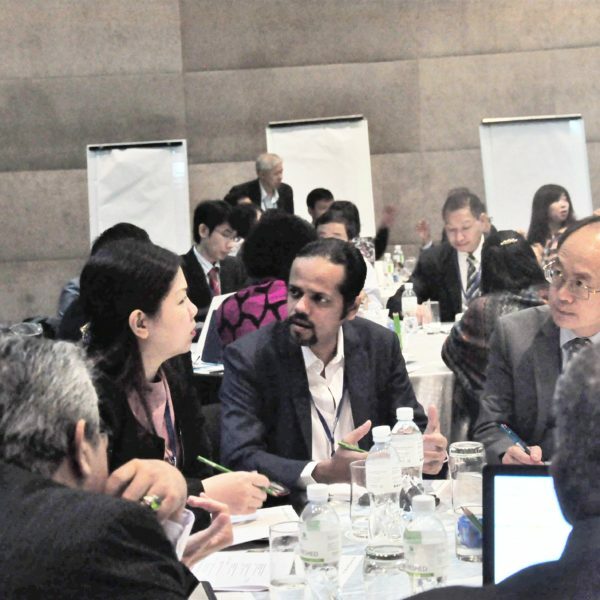 Learning sharing among the assessors would accelerate global impact of education and increase the reliability of different measurement approaches. With an aim to understand learning outcome, different types of education assessment is being carried out globally. Often organizations compete among themselves while experiencing different tools of assessment; some are localized and some are global. But as the audience response of those assessments are not documented properly, when a new assessor enters the market it has learn through making the same mistakes. 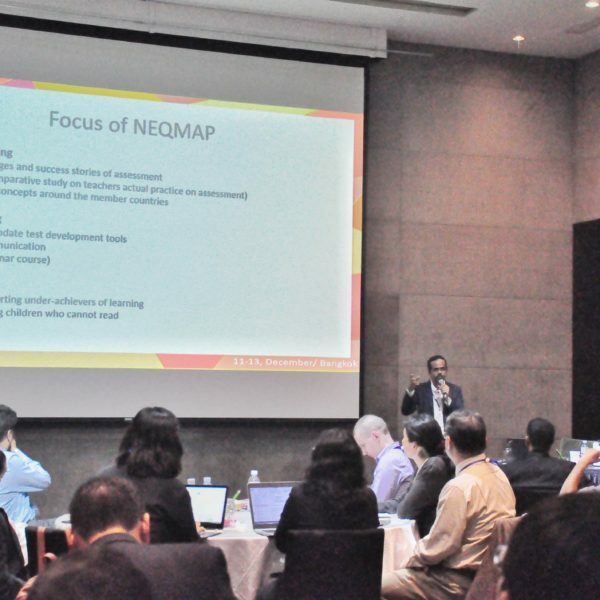 At the 5th Annual Meeting of the NEQMAP Secretariat, Mr. Syeed Ahamed, CEO of IID, talked about the importance of recording and sharing assessment outcomes among the global education assessors regularly. 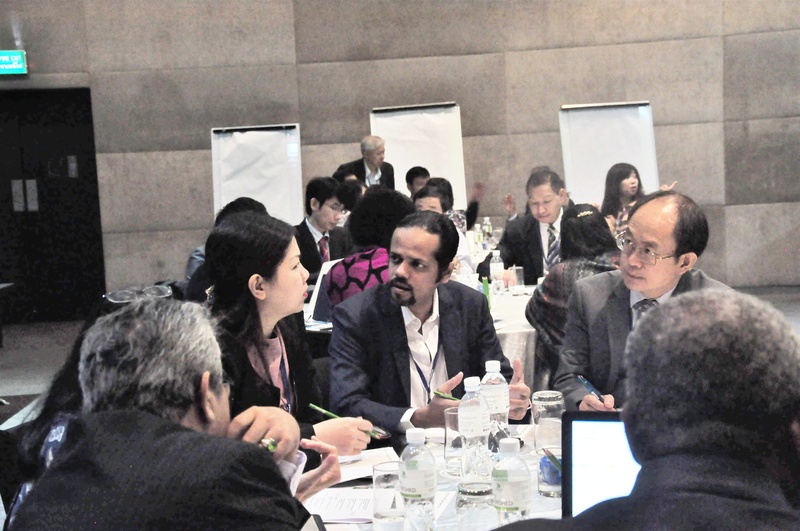 The meeting was held on 12th-13th December 2017 in Bangkok, Thailand. He also suggested that platforms like NEQMAP can work as a great space for sharing practical experience of the assessors which would derive mutual benefits. 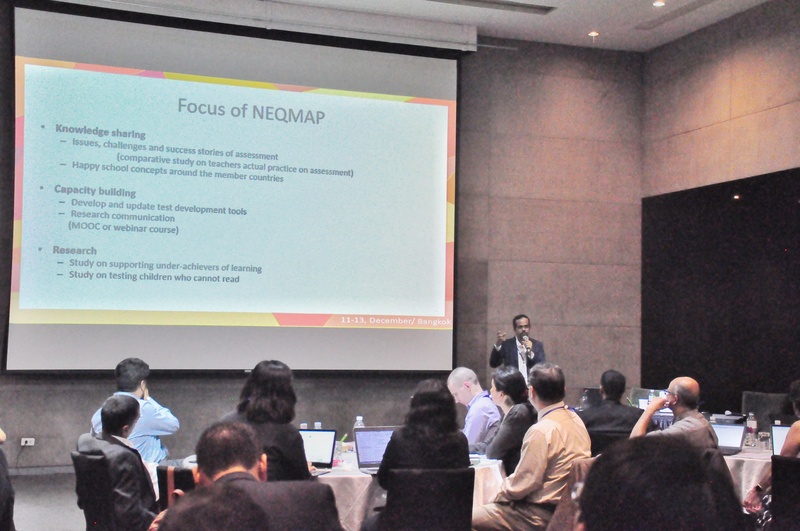 As a focal point for NEQMAP Secretariat, Mr. Ahamed presented IID’s initiatives taken on education research and program, education financing, policy advocacy campaign for education and connecting Bangladesh to the global learning assessment networks. He also talked about IID’s effort in assessing the primary level students through a pre-pilot and pilot study customizing ASER model for last three years. 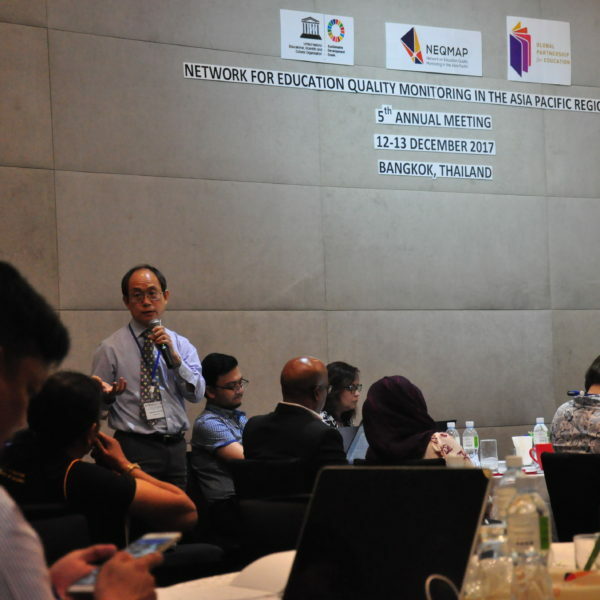 The presentation also highlighted on what further could be done in collaboration with NEQMAP; for example through peer-to-peer learning sharing and social media integration. More than 50 participants including delegates from member, non-member and partner institutions joined the annual meeting. 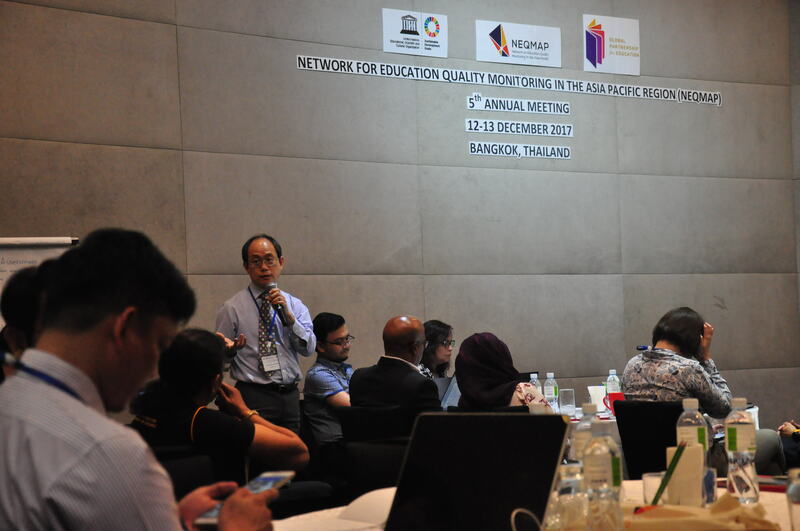 It was focused on discussing current and future NEQMAP activities, learning sharing of member organizations as well as updating and discussing on-going regional and global initiatives with regard to monitoring of education quality.